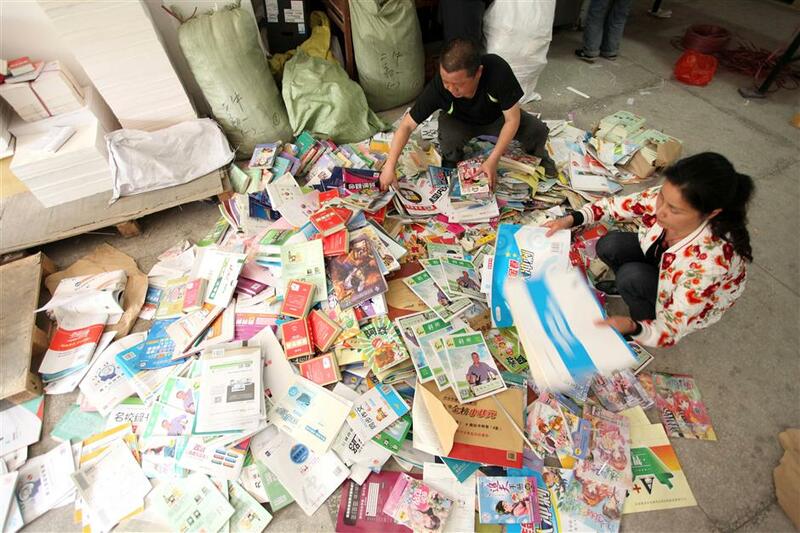 Pirated books and DVDs are confiscated and will be destroyed in Fuzhou, Jiangxi Province. When I first started coming to China, I loved going to those DVD stores with rip-off versions of all my favorite movies for a super-low price. Back in New Zealand, you’d pay NZ$30 (US$21) for a newly released DVD on average, but in those Shanghai stores I was paying just NZ$2. When “The Hobbit” came out, I took great pleasure in buying a bootleg version, even though I had no plans to ever watch it. I just wanted to stick it to the New Zealand government who gave the production massive tax breaks and even changed some of our country’s employment laws just to appease those greasy Hollywood bigwigs who threatened to withdraw production from our little country otherwise. Fast-forward to 2017 and I learned the hard way what having your hard work ripped off feels like. Last year I decided to start up an account on Bilibili, one of China’s most popular video platforms, where around 1 million regular content creators upload their work. It’s not an easy task creating quality content, that’s for sure. Filming, editing, writing, adding graphics and effects, making stories, uploading — it’s definitely an effort! That’s why in this whole year I’ve only uploaded 10 videos. And then, when someone steals your work without giving credit … well, let’s just say it’s not a nice feeling. And that's exactly what happened to me. A Beijing media company ripped one of my videos from Bilibili and uploaded it to their own account without giving me credit at all, racking up more than 1 million views. I didn’t know whether I should be happy or mad. From one point of view, it’s great to know so many people saw my work — that’s definitely the end goal. But at the same time, how hard is it to credit the creator? It shouldn’t have taken my own work being ripped off to realize just how much of a problem content theft is. The Chinese government are on to the issue now, which is great. In fact, a new copyright protection association was set up in late December to keep an eye on and reduce the huge issue of media plagiarism within China. The watchdog has been set up by the Association of China Industrial Newspapers and several major financial media. Liu Canguo, the new association’s executive secretary-general, shared his views at a forum in Beijing recently. “Copyright is the media’s core value,” he said. Other bodies are trying to tackle the problem, too, including the National Copyright Administration, which last year released a plan for the tackling of media copyright issues up until 2020. President Xi Jinping even specifically mentioned the protection of intellectual property in his address to the 19th CPC National Congress last year. Copyright protection and anti-piracy are going to become even more important as China and the United States continue to ramp up collaborations in the film industry. The box-office takings of each country are the highest in the world, and even though China releases a limited amount of American films here each year, seven Hollywood flicks made more money in China than they did back in Tinseltown in 2017. That means Hollywood moguls are also ramping up their pressure on China to tackle copyright infringement and piracy. Charles Rivkin, CEO of the Motion Picture Association of America, has placed it at the top of his priority list when it comes to working with China. “Anti-piracy is the most important thing that we can fight together,” he said when he visited here recently. I think that’s maybe a little dramatic, to be honest, but if you peel away the patriotism, the general idea is fair. Perhaps the next thing the entertainment industry could work out is giving consumers and audiences content when and how they want it, but that’s a column for another week. For now I’ll be watching with interest how China’s media industries work to protect their greatest asset: content.